Intravenous fluid and blood bags, tubing, nutrition feeding bags, nasogastric tubes and tubing used in devices for cardiopulmonary bypass and hemodialysis may contain a toxic chemical, DEHP (di-2-ethylhexyl phthalate). DHEP is a plasticizer found in polyvinyl chloride. Exposure is associated with liver and testicular atrophy in experimental animals, and there is evidence suggesting that DHEP causes adverse effects on the developing reproductive system of males. Even though these dangers have been known since warnings issued by the FDA in 2002, devices containing these plasticizers are still not labeled. (JAMA, Sep. 19, 2007 p.1267) Given the extensive toxic effects of these chemicals, a total ban on their use, as well as BPA, would be more appropriate. During the manufacturing process for corn syrup, caustic soda is used. Mercury is often used as a catalyst in the production of caustic soda, and some of it is contaminating the syrup. The EPA estimates that more than 65 tons of mercury went missing in 2000 from the eight U.S. plants that use the mercury method for making caustic soda. Based on average consumption rates, Americans could be ingesting close to 30 micrograms of mercury a day. (Not So Sweet, Missing Mercury and High Fructose Corn Syrup. Institute for Agriculture and Trade Policy, January 2009). When trees are destroyed without replacement, a process is initiated that decreases the rainfall to the region. The result is increasing desert as the trees disappear. Australia and Tibet are two examples of places that were once lush and enjoyed sufficient rainfall. Presently both have become mostly desert. The 117 year old drought in Australia has already wiped more than A$20 billion from the $1 trillion economy since 2002. 80 percent of eucalyptus trees are already dead or stressed in the Murray-Darling region, which is the main food producing region of Australia. Ed. note: In places such as the American Southwest, where development has created paved and blacktopped areas, strip malls and homes with streets and sidewalks and dark roofs, the solar heating of the ground and air is creating high pressure areas, diverting any moist winds away from population centers. It is likely that trends such as these will bring increasing drought to the U.S. West. The Colorado River will diminish without rainfall. Even in the Cleveland area, far too many trees are thoughtlessly cut down. If you have to cut a tree, you should plant at least two in its place. In a study partly funded by the US federal government, 36 volunteers were given a single dose of psilocybin in one of the few pieces of research into hallucinogenic drugs to take place over the last 40 years. While one third of participants found the experience frightening, despite the controlled environment, many described it as one of the most significant experiences of their lives. The volunteers, average age 46, had never used hallucinogens and all took part in some kind of regular spiritual practice. At different visits to the study laboratory they were given either psilocybin or Ritalin and lay for eight hours with an eye mask on, listening to classical music. Twenty-two volunteers reported a “mystical experience” (variously described as a sense of pure awareness and a merging with ultimate reality, a transcendence of time and space, a feeling of sacredness or awe, and deeply felt positive moods like joy, peace and love). Two months later, 16 volunteers described it as one of the top five most meaningful experiences of their lives. Around 80% reported a raised sense of well-being or life satisfaction. (Psilocybin can occasion mystical-type experiences having substantial and sustained personal meaning and spiritual significance. Psychopharmacology DOI 10.1007/s00213-006-0457-5). So many soldiers are killing themselves that Fort Campbell, home of the Army's 101st Airborne Division, has closed down twice this year for special “suicide stand-down training events”. Twelve per cent of soldiers in Iraq and fifteen per cent in Afghanistand are reported to be taking antidepressants, antianxiety medications, or sleeping pills. Prescriptions for narcotics for active-duty troops have increased from 33,000 a month in October 2003 to 50,000 a month in September 2007. The FAA considers these medications too dangerous for commercial pilots, but the military has decided that they are all right for soldiers in combat zones. As noted in last month’s newsletter, questions have arisen regarding the potential for many classes of psychiatric drugs to increase suicidal thoughts and behaviors. Over 40,000 medication errors a year are made in the UK’s National Health Service, of which 2000 cause severe harm to patients. The figures, collated by the National Patient Safety Agency, probably underestimate the problem since they rely on reported errors. (The Guardian, August 11, 2006). The most optimistic among a group of 545 Dutch men (aged 64 to 84) were 50% less likely to die from cardiovascular causes during a 15-year study. The men were assessed for their degree of optimism every five years from 1985 to 2000 with questions such as "I do not look forward to what lies ahead for me in the years to come" or "I am still full of plans." Whilst overall optimism declined slightly as the men aged, it remained generally consistent. Higher optimism scores were linked to being younger, being better educated, living with others, having better health and doing more physical activity. (Giltay EJ et al. Dispositional Optimism and the Risk of Cardiovascular Death: The Zutphen Elderly Study. Arch Intern Med. 2006;166:431-436). Ed. note: The Traditional Chinese perspective allows us to see this in another way: since depression and fear are closely associated with the function of the heart and shen, those who have heart problems may be less optimistic, which is also consistent with the study’s findings. An extract of the bark of the maritime pine tree is effective at controlling osteoarthritis (OA), according to the results of an Italian double-blind, placebo-controlled study. 156 OA patients were randomized to three months of 100 mg Pycnogenol daily or placebo. The study found that global WOMAC (Western Ontario and McMaster Universities) osteoarthritis scores decreased by 56% in the treatment group versus 9.6% in the placebo group. Walking distance in a treadmill test was prolonged significantly from 68m at baseline to 198m after three months treatment, versus 65m to 88m (not significant) under placebo. Use of anti-inflammatory drugs decreased by 58% in the treatment group versus 1% with placebo. Gastrointestinal complications decreased by 63% in the treatment group, versus only 3% under placebo. Foot edema decreased in 79% of Pycnogenol patients vs. 1% in controls. Overall, treatment costs were reduced significantly compared with placebo. (Treatment of osteoarthritis with Pycnogenol. The SVOS (San Valentino Osteo-arthrosis Study). Evaluation of signs, symptoms, physical performance and vascular aspects. Phytother Res. 2008 Apr; 22(4):518-23). Acupuncture has previously been shown to be more effective than either standard or specialized exercises in relieving pelvic pain in pregnancy (BMJ 2005;330:761). Now a new study has compared subcutaneous needling without further stimulation and deep needling with deqi for the same problem. Both groups experienced significant improvements in levels of pain intensity at rest and in daily activities as well as in rated emotional reaction and loss of energy, but there was no difference between the two different methods of acupuncture. (Decrease of pregnant women’s pelvic pain after acupuncture: a randomized controlled single-blind study. Acta Obstet Gynecol Scand. 2006;85:12-9). A study of prebirth acupuncture given in the practices of 14 New Zealand midwives over a four-month period found a 35% reduction in induction rates (43% for primigravidae), 31% reduction in epidurals, 32% reduction in emergency caesarean sections and 9% increase in normal vaginal birth compared to the general population. The most commonly used points were Sanyinjiao SP-6, Zusanli ST-36, Yanglingquan GB-34, Kunlun BL_60 and Hegu L.I.-4. (Acupuncture for prebirth treatment: an observational study of its use in midwifery practice. Medical Acupuncture. 2006; 17:3). In a study on 16 healthy subjects it was found that Echinacea purpurea, Huang Qi (Astragali Radix) and Gan Cao (Glycyrrhizae Radix) were effective in boosting key blood lymphocytes, the basic building block of the immune system. Echinacea and Gan Cao stimulated proliferation of CD4 T cells, CD8 T cells and NK cells, all three herbs (administered either singly or in combination) were able to activate CD8 T cells (Huang Qi causing the most activation), Gan Cao stimulated NK activation, and all the subjects who received Echinacea tincture showed CD25 activation at 24 hours compared to 0 hours, which persisted at seven days. (21st Annual Meeting of the American Association of Naturopathic Physicians, August 9-12, 2006, Portland, OR). A kampo (traditional Japanese herbal medicine) made from four herbs: Huang Lian (Coptidis Rhizoma), Huang Qin (Scutellariae Radix), Zhi Zi (Gardeniae Fructus) and Huang Bai (Cortex Phellodendri) was found to be significantly more effective than placebo in controlling hypertension symptoms in a double-blind, placebo-controlled trial. Although the herbal medicine had no apparent effect on lowering blood pressure, it helped relieve hot flushes, facial suffusion, anxiety, sleep disturbance, headache, heavy-headedness, shoulder stiffness, dizziness and malaise). (Improvement of accessory symptoms of hypertension by TSUMURA Orengedokuto Extract, a four herbal drugs containing Kampo-Medicine Granules for ethical use: a double-blind, placebo-controlled study. Phytomedicine. 2006 Jan;13(1-2):1-10). Phantom Menace or Phantom Response? The American medical establishment is already praising itself for its response to the appearance of H1N1 recombinant influenza in the Spring of 2009. “So far, I would say we did a good job” states Daniel Fagbuyi, M.D., medical director of disaster preparedness and emergency management at Children’s National Medical Center in Washington, D.C.
Perhaps it is just the atmosphere in the District of Columbia that makes every bureaucrat there feel that doing nothing at all heroically saves humanity from a dire fate. Preparations such as “dusting off pandemic plans, educating office staff and patients, and ensuring surge capacity in hospitals” hardly sounds impressive, especially when the only action Dr. Faguyi’s institution took was to set up an area outside the emergency department where nurses separated out patients suspected of having the flu. But of course, they still couldn’t treat them. That would require a level of sophistication equal to 17th century China. When the added patient load of a real pandemic hits, these systems will melt down. The American hospital system is in no way prepared for its present challenges, let alone natural disasters and new epidemics. Once doctors and nurses become infected and can no longer work, the reality will become much worse than the tiny problem that was seen this Spring. It is possible that H1N1 will not become a major threat, but it will take years to determine how serious the effects are. This is a new disease, and past experience with recombinant animal-human diseases is not reassuring. Monkeypox, Ebola, HIV, swine flu, SARS, Marburg and Nile virus are only a few of the animal sourced viral diseases that have proven to be much more dangerous than the “experts” initially believed. Also with new diseases, the long term effects of infection are unknown. Roughly 50% of those infected with Nile virus had neurological symptoms one year after initial infection. The encephalitis caused by the 1918 epidemic famously resulted in a syndrome similar to Parkinson’s disease, and was permanent. 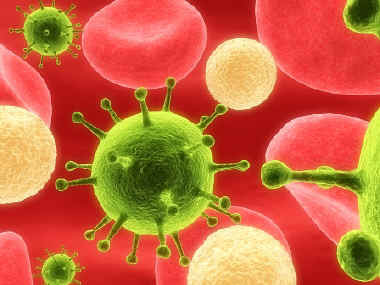 Because there is no immunity to new diseases, with the right conditions, the infection rate may become very high. It is just too early to start the rounds of congratulations and self aggrandizing speeches. Plans for the future are equally uninspiring: associate professor of internal medicine and pediatrics at the University of Arkansas Robert Hopkins proposes the solution for a pandemic will be “better patient education”. He recommends that “other doctors use newsletters, Web sites, or postings in waiting rooms to relate prevention messages such as patients’ need to stay home if they are sick”. Right. A sign in a doctor’s waiting room to avoid crowds of ill people certainly represents cutting edge technology. At least he’s honest in promoting that people stay home and not visit practitioners who can do nothing for the early stages of viral infection. In a society where parents cannot even show the good sense and character to keep their sick children home from day care or school, where ill office workers spread viral illnesses among their co-workers instead of staying home, it seems unlikely that the concept of quarantine will be understood or followed. It is possible that the experiences of Oriental medicine with centuries of epidemics may hold some answers and treatments for this new disorder, but there are far too few trained physicians for this to be a widely available solution. Moreover, our hospital system is mired in a 19th century perspective and has lost the innovative and creative attitudes that new circumstances demand. If “wash your hands” is the best that the medical establishment can offer, Americans and citizens of other nations who will face this disease are in dire straits indeed. President Obama described the announcement as a “watershed event” in the health system reform debate. The organizations included the Advanced Medical Technology Assn., The American Hospital Assn., The American Medical Assn., America’s Health Insurance Plans, the Pharmaceutical Research and Manufacturers of America, and the Service Employees International Union. Who would have thought that “saving” two trillion dollars could be so easy? Of course, there is no detail as to how this can be accomplished. 2 trillion dollars less of a budget and one would think there would have to be some cutbacks somewhere. Family Practice News in an article in its May 15th, 2009 edition states that the Obama plan for paying for health “reform” is to “be financed with medicare savings” (page 1). As is usually the case, the only solution that bureaucrats ever have is decreasing payments for services: Katherine Sebelius, our Secretary of the Department of Health and Human Services, stated that “we can’t afford to wait any longer if we want to get health care costs under control and improve our fiscal outlook”. For physicians and patients, improving the results of treatments are just a little bit more important than getting “health care costs under control”. Especially when health care costs are to a great extent the costs of third party administration, regulation, and profits. Look behind the mirror and blow away the smoke and you will see that “medicare savings” will simply be accomplished by reducing payments for care. The euphemism for this is “bundling payments for inpatient and post acute care”. Pay less for something and you’ll get less of it. Even the President of the United States cannot change the fundamentals of finance. If the goal were really to “cover the uninsured”, simply extending Medicaid benefits to everyone would be a simple and obvious solution. We already have the system in place so it would cost less, too. Candidate Obama promised Americans access to the same system that Senators have. This promise, like so many others, has proved to be as insubstantial as smoke. To the contrary, it is clear that the objective of health care “reform” is the complete control of a major part of the U.S. economy and all the wealth that it represents. Only this will satisfy the power hungry robber barons of Washington. The obvious result will be fewer options and much greater expense for patients and physicians, regardless of what pronouncements may come from politicians and their media mouthpieces. If a market-based system is a solution, one wonders why a centralized, government-mandated bureaucracy is the favored mechanism to implement it. Corruption of market forces for the past 60 years is one of the main reasons for the present calamity. The unsustainable cost and poor results of our medical system can be directly linked to the ever more ravenous intermediaries that dictate medical practice. As has been editorialized elsewhere in this website, it would be much more impressive if our “leaders” as well as patients themselves would concern themselves less with costs and more with what is worth paying for. We already have one of the most expensive and inefficient health care systems in the World. The levels of wasted time and money dealing with third party bureaucracies are truly disheartening and are a significant contributor to the “health care costs” that trouble Ms. Sebelius and the President. A study published online May 14th, 2009 in Health Affairs, documents that the average primary care physician in solo or two physican practices spends 4.3 hours per week dealing with administrative demands of various third party payers. This adds up to 23.2 to 31 billion dollars a year, which is more than $68,000.00 per physician. 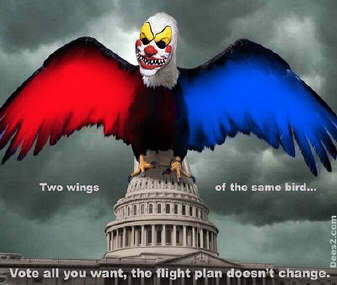 The infinite appetite for red tape and unfunded mandates demonstrated by every government program in existence indicates that soon the practice of medicine will be unaffordable for anyone except government anointed “centers”, where standardized, check-off-the-box medicine will be the only option. Payment to physicians and hospitals will need to be reduced to pay for hordes of clerks and regulators, further imperiling the numbers of intelligent students who would consider a career in nursing or medicine. Primary care practice is certain to become less attractive than it already is as doctors become de facto government employees. The Senate is due to finish its hearings and propose a bill by mid June. Look for another unfathomable monstrosity like the 1100 page “jobs creation” bill. The only certainty at this point is that implementing any program developed in Washington will require increasing taxes and reducing care. Some of the tax increase will be direct, but a great deal will be indirect, in keeping with the government’s tendency to hide the truth from taxpayers. Deductions for payroll contributions for health “insurance” and health savings accounts will be reduced or eliminated, and a plethora of new taxes, deductibles, and user fees will be devised to fund the unprecedented bureaucracies envisioned by the elite. No matter how it is spun, the result will be a vastly more expensive, more complex, but less responsive medical system providing lesser quality care.